I am sooo excited about the newest edition to the fleet. This baby was born in 1964, and has been taken care of by a very knowledgeable gentleman who has given her some TLC, so she is in mint condition. Not only is she a beauty, she produces the most perfect straight and zig-zag seams, and has lots of other functions I haven´t really tried out yet. 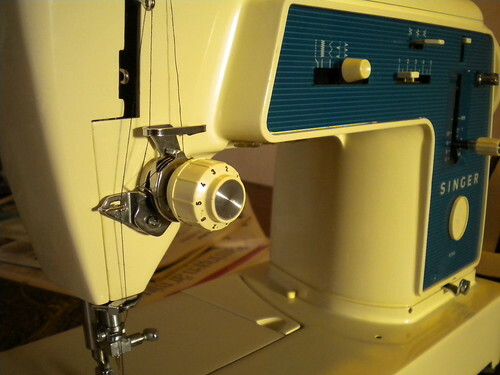 I have recently learned that all Singer machines produced before 1981 have slant shank foot holders to screw- on, but fortunately, they have made a converter (that I have ordered), which enables me to make use of the snap- on feet from my old machine too. In addition, there was a whole bastion of feet included, and I spent most of my Sunday morning trying to figure out the use of them all (This was before I bought a PDF- version of the manual). If I had bought the manual first, I would have saved myself some time, but on the other hand, I wouldn´t have acquired the knowledge on machine feet that I now have! She´s got a little beauty flaw, but that really doesn´t matter much. I can thank the shoe gods for being able to buy this machine. I have spent some time on the internet searching for good eco-friendly winter shoes, and I had sat aside some money for it. But first, I went to the cobbler with a pair of my old winter boots, and remembered that I had two other pairs laying around for some mending as well. And I thought to myself, that whilst buying eco- friendly shoes is nice, mending pairs that I already own is actually much better! So all of a sudden, I had some extra cash on my hands that I could use on a sewing machine! I found this baby on Tradera, Swedish eBay, and I got a 3 months guarantee on it. Nice! So, there you have it, my newest obsession. How about you people, is your machine from previous decades, or are you more of a modern machine type? I´d love to know! I agree what a fantastic looking machine.Recycling all around then what with mending shoes and giving a machine a new home! I have nominated you for an award over on my blog by the way…but I think you already have this one! What a beauty! It’s funny you live in Sweden and have a Singer, and I live in the U.S. and have two Swedish-made Viking Husquavarna Machines. The newer one is from 1969 and the older one is probably a few years older. Just like fixing shoes, it makes me happy to keep these good old machines in good repair. Oooh pretty. And I’m jealous you have all those feet! I’ve got a Husqvarna from the 80s, gifted to me, and while I love it, I am missing the ability to buy feet that are not deeply expensive (like a blind hem foot or invisible zipper foot). 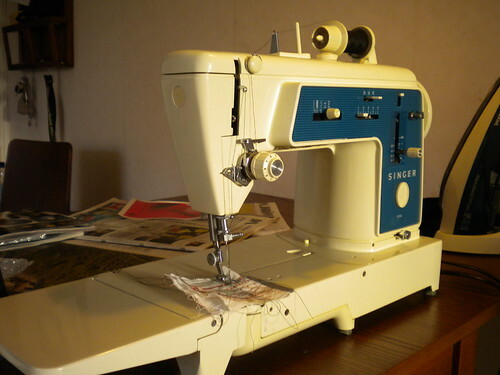 My mother has a Husqvarna sewing machine, and I love it – sorry about the feet, have you tried ebay? For my search on my own machine I stumbled across quite a lot of different sellers of different parts and bits. Ooh, how wonderful! Apart from the now 2 year old AEG machine I bought when I started sewing, I recently “inherited” my great-grandma’s sewing machine from my grandma. She was thrilled to give it to me, now that I’m actually able to sew… I researched it and it’s a Privileg (German “no-name”) from sometime at the beginning of the 80s. I love it to bits! Ooo, my old machine is an AEG too! I love that you have a German machine – it´s kind of cool how there is such a variety of different machines out there! How glamorous she looks, & really has style! My childhood machines I’m sure would have been now beautiful vintage pieces. 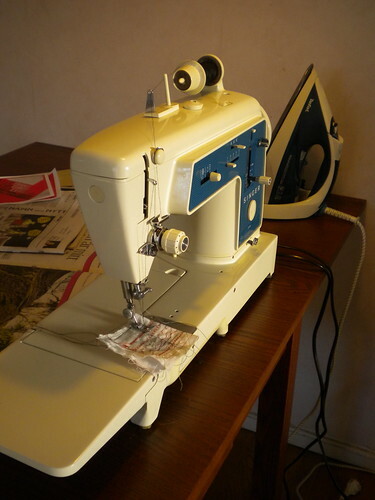 The predecessor to my current Pfaff (now approx 15 years old) was a 70s (or older?) Frister & Rossman Cub. I think I had my mum’s hand me downs as there were at least two other models I can picture, but for the life of me can’t remember their make or models. Have fun playing with yours! Ooh, she is fantastic!! 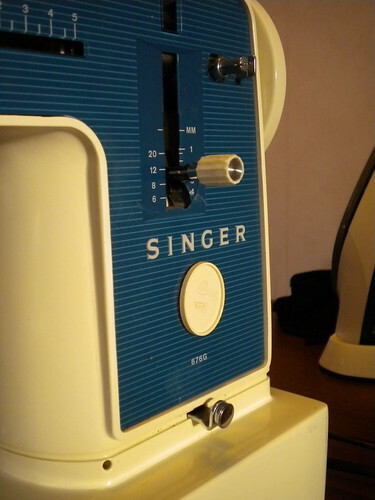 I have a modern Kenmore sewing machine (abt 6 yrs old) and a vintage Singer Featherweight (1946!) and I love them both! What a nice looking machine! That is great it is in such good condition. Mine is not so old, but it is not new. I’d guess late 80’s, early 90’s? Runs well, and I love it! Hello! Congratulations on the machine! Can you please tell me where did you bought the manual for this machine? Is yours in English? Because I’m Portuguese and I don’t speak your language. If you could e-mail me on this matter or if it isn’t asking too much you could please send me the pdf version of the manual. Have it, love it, and will start to use it more.